Donald Cant Watts Corke has been providing valuable consultancy services to leading Australian organisations for over 50 years. Our operational experience, coupled with our extensive market insights, informs our understanding of complex projects and the markets within which they are delivered. Using our national pool of resources, we work alongside you and your team, sharing knowledge to ensure you can deliver the outstanding result you are after. Our Aged Care specialists have partnered with industry leaders to deliver outstanding purpose-built facilities. The art, culture and entertainment sector generates widespread economic benefits as well as contributing to our country’s liveability. With both land and airside experience our team recognises the commercialisation of airports and the need to achieve ongoing value from existing assets and capital delivery programmes. Our team of best people supports developers, operators and occupiers to achieve continued commercial growth. We have supported some of Australia’s largest commercial entities to deliver effective project outcomes. Influenced by Defence business policies or purchasing decisions, our teams across Australia are committed to helping the industry supply military capability in the longer term combined with achieving their investment requirements and remaining competitive on the global scale. Our localised teams have a breadth of expertise in the delivery of private school education projects. Donald Cant Watts Corke has the expertise and knowledge to deliver tailored solutions across all of our private healthcare clients’ project needs. With an ageing population and rising lifestyle factors, Donald Cant Watts Corke understands the increased demand that is frequently placed on our health care system. The redevelopment of significant land parcels has delivered new leisure precincts for locals and visitors to explore. Our leisure and hospitality projects range from restaurants and cafes through to hotels and resorts. Our team is committed to helping government Departments deliver improved services to reduce harm in the community, maintain institutions and manage public investments. We understand the unique pressures and risks that can be faced in the development of research and laboratory facilities. From luxury townhouses through to small and large apartment complexes, we offer a range of services to suit your complex needs. Donald Cant Watts Corke recognises the ongoing challenges faced by the local and international retail market. We understand the changing demands of the consumer and work in partnership with you. From high school sporting fields to major stadiums, Donald Cant Watts Corke has the knowledge and experience to project and cost manage your next sports and recreation project. Donald Cant Watts Corke has a strong portfolio of student accommodation projects, having delivered developments for both private firms as well as leading universities. 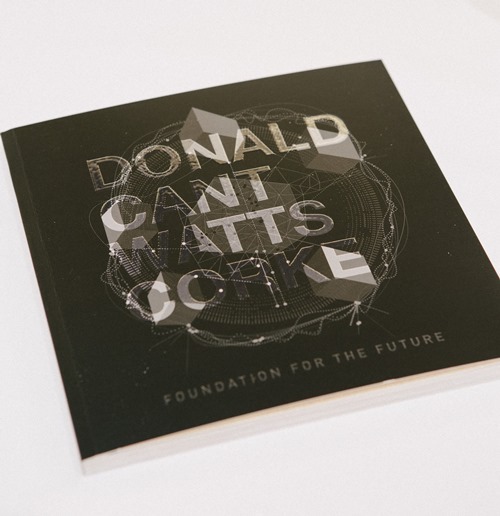 With ever-increasing demands for greater technological infrastructure, investment and capability, our experienced team of professionals at Donald Cant Watts Corke are at the forefront of these challenges. Donald Cant Watts Corke has an in-depth understanding and proven track record in the transportation sector. Having worked on a breath of projects across rail, roads and ports.